Each episode brings listeners peeks into our homeschooling lives, answers to listener questions, and reviews and recommendations of resources we like. We don’t sugar coat the homeschooling experience, you’ll hear the good, the bad, and the weird. While we focus on a secular point of view, our show is respectful of all beliefs! 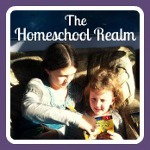 We are a podcast to entertain, inform, and uplift fellow homeschool parents. Through sharing our day-to-day joys and sorrows, challenges and triumphs, reviews and recommendations, we hope to help those considering homeschooling, just starting out, as well as those already in the homeschool lifestyle.